Remixed, remade, remodeled vinylization of Palberta's Hot On The Beach (2015). The four brutarian tracks on the A-side are shards of songs reductive enough to have earned their 'no wave' deal of approval. Ug-thrust co-existing with a whacked-out feel more in line with late '70s UK scribblers like the Raincoats or Big In Japan. They do a single extended track called 'Prolly For The Best' - something like a dance 12" released by 99 Records, recorded anonymously and very drunkenly by the Y Pants after a show at Experimedia. Edition of 360. 45 RPM. "Another great album by this Hudson Valley trio (again, first issued as a cassette by OSR), continuing their plunge into the ocean of post-punk readymaids. 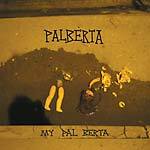 Palberta's sound collages together many of the greatest female outfits of the classic Rough Trade era (Kleenex to The Raincoats to Mo-Dettes and onward) while retaining an after-core blurtage that can momentarily call to mind anyone from Slant 6 to Huggy Bear. The trio's own personae shine through as well -- giving everything a sputzy Saturday-morning-cartoon quality. This requires blending naïve-sounding pieces of sound-art inside extremely sophisto form-molds and Palberta manage to pull this trick off seamlessly (whether by design or sheer instinct, we dunno). It allows them to celebrate and subvert genre-protocols simultaneously, which is pretty damn great. And the fact that they sound like they're having a lot of fun while they destroy conventions doesn't hurt in the least. In fact, it's what you'd be tempted to call 'a total genius move.' Give Palberta an inch. Right now. They'll take a whole lot more." --Byron Coley, 2015. Edition of 350. 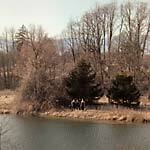 "Great debut LP (following a tour-split with NE Patriots) by this upstate NY trio. It's actually the vinylization of their OSR cassette, but now it's a record and that's all the better for you. Their sound immediately strikes one's ear as brimming with the anarcho-squeak-aggression of Switzerland's Kleenex, but that's just the initial impression. 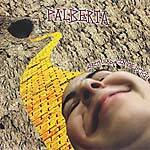 Palberta's actual brunt is thoroughly warped in an all-American style, smelling of tent parties in the piney woods as much as sweat-stained house shows in the valleys of the Northeast Kingdom. They take pains to stretch their compositions in a lot of strange simultaneous directions, which both reference and deny the influence of early Rough Trade recording acts. Their brilliantly sloppy experimentalism is one of those sounds that will grow in the creases of yr brain like a lovely fungus. You'll only know you've 'arrived' when you'd sprouted a full head of mushroom antlers. Go ahead, take the Palberta challenge. Today." --Byron Coley, 2014; Includes download code. Edition of 400.